As part of Ryanair's strategy to give passengers free access to flight information across multiple channels they recently launched a novel new TwitterBot service that delivers real time flight status to Twitter users. 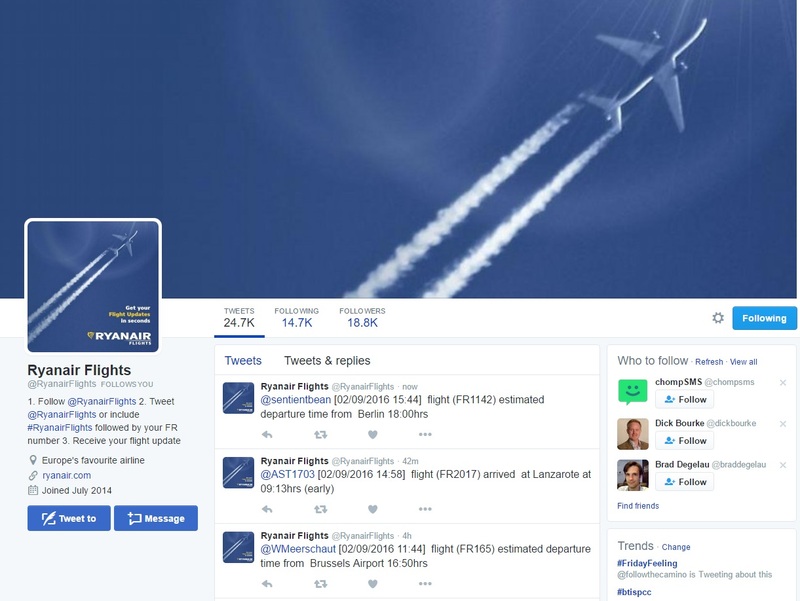 Twitter users can simply tweet the flight number to @ryanairflights and receive a tweet back with the current status. Why not give it a try yourself @Ryanairflights?